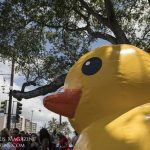 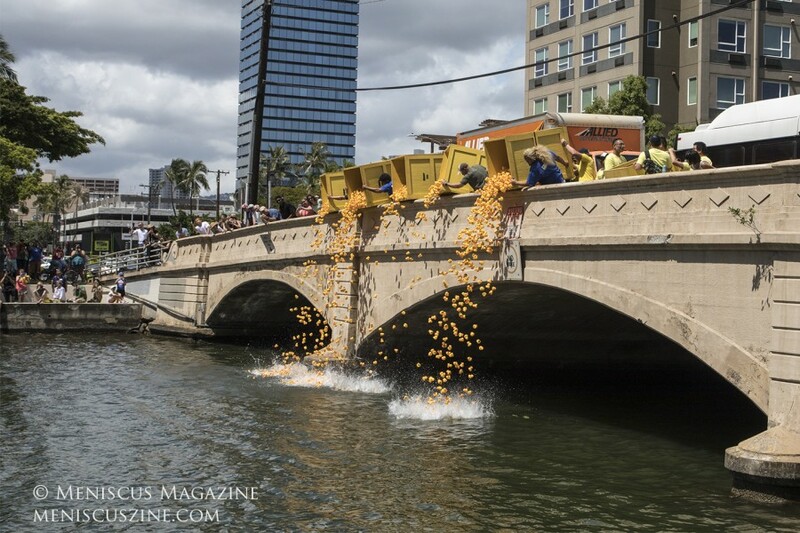 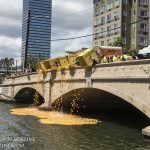 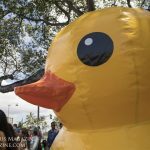 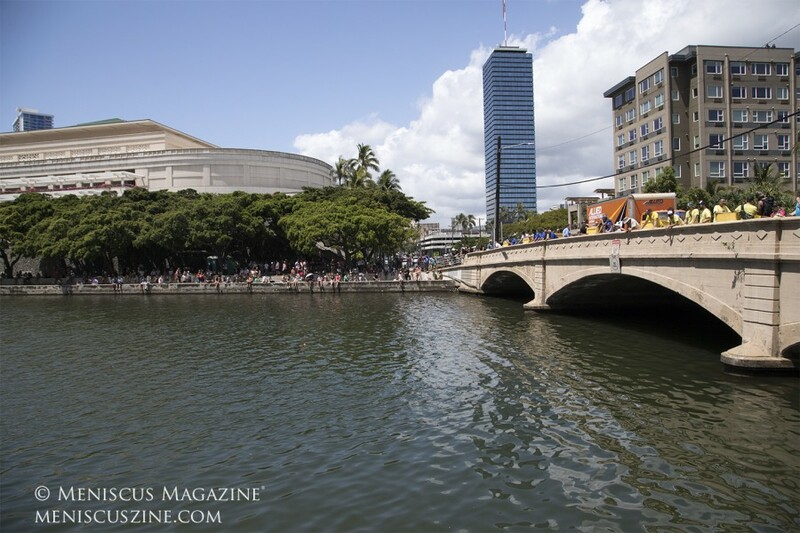 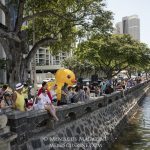 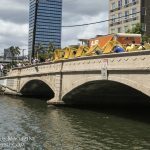 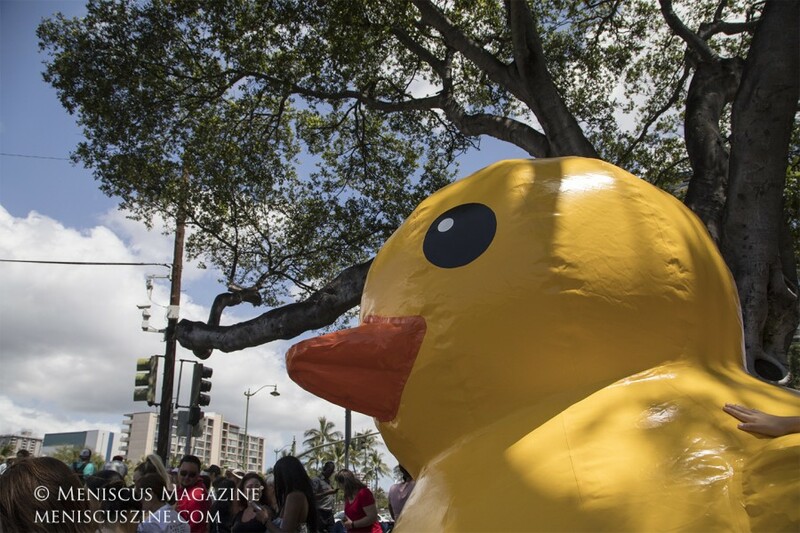 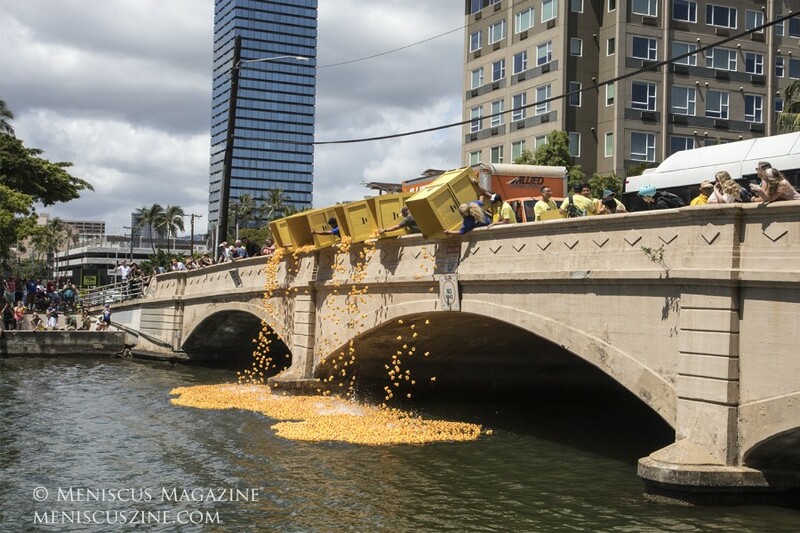 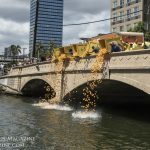 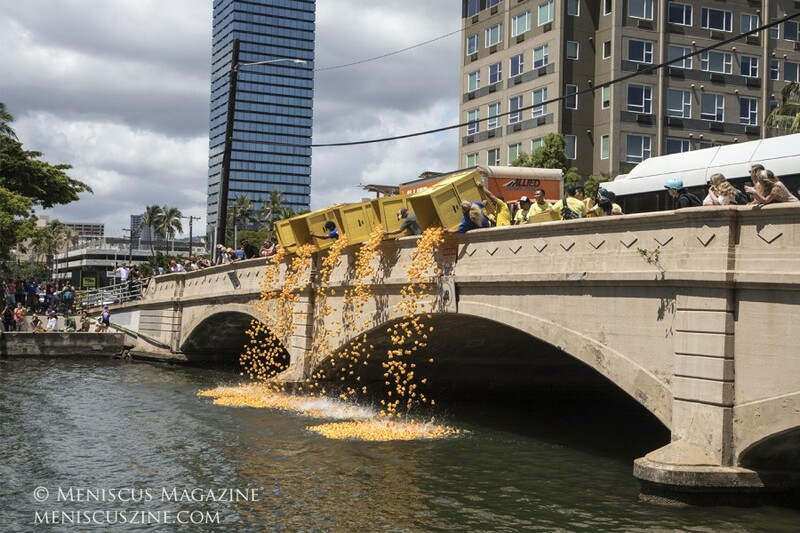 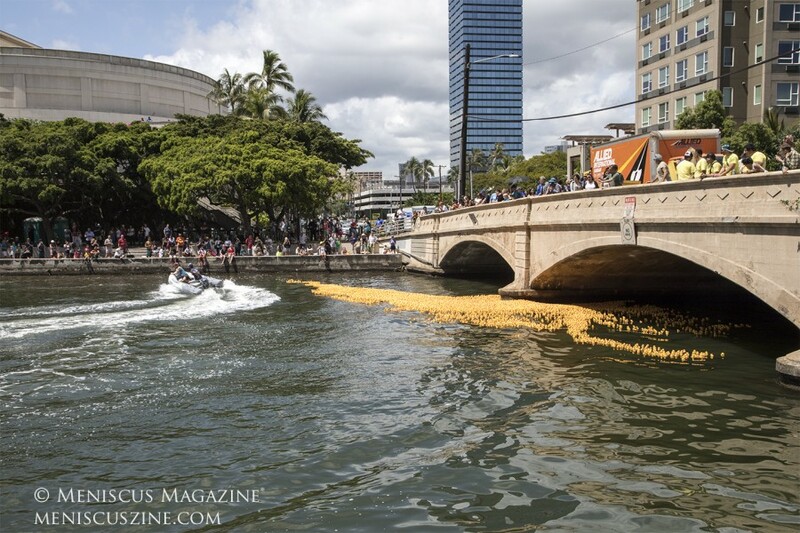 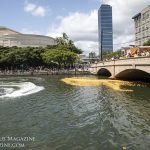 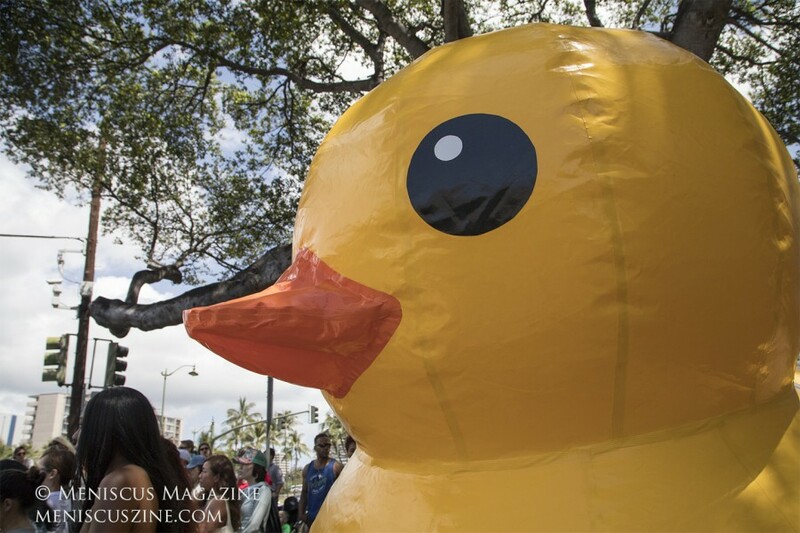 Kalakaua Avenue Bridge, Waikiki , Honolulu, Hawaii – The 32nd Annual Great Hawaii Rubber Duckie Race took place on March 30, 2019, and helped to promote the work of the United Cerebral Palsy Association. 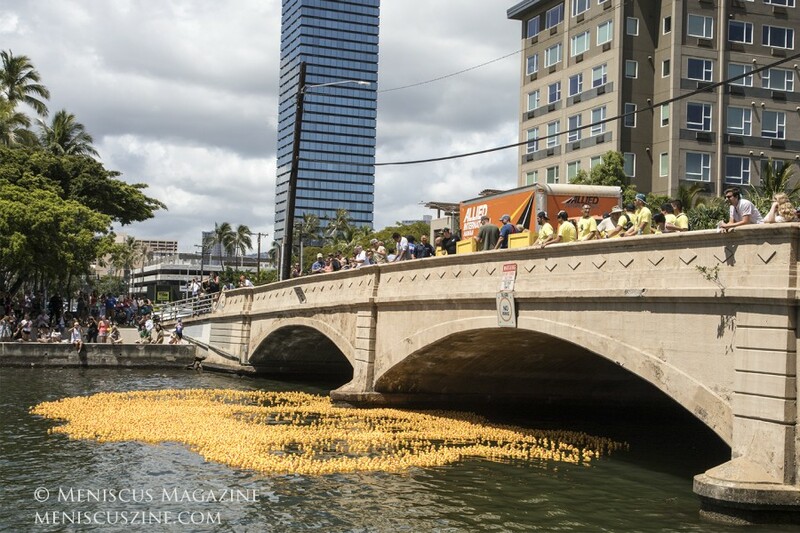 The rubber ducks could be purchased at $10 a piece or for a group rate at a reduced price. 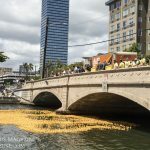 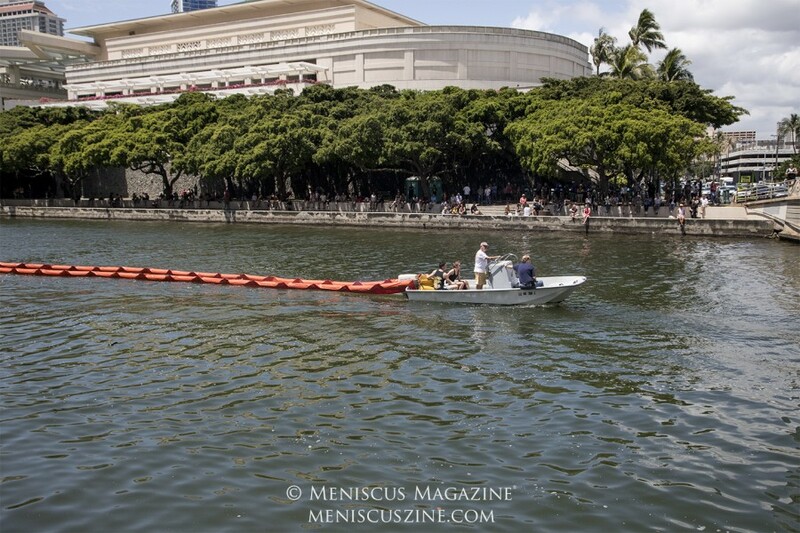 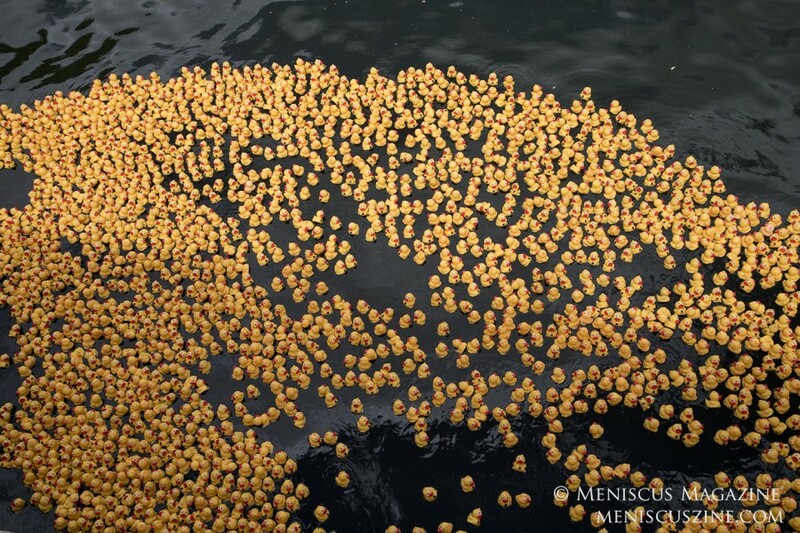 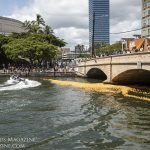 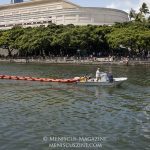 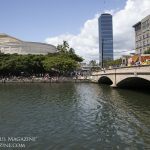 Approximately 20,000 ducks were poured down the Ala Wai Canal, Following a countdown, however, the duckies didn’t go as expected. 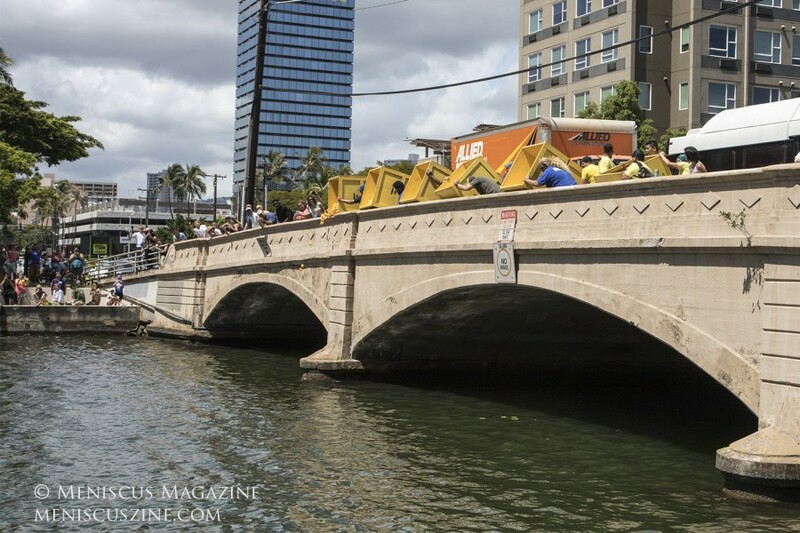 They went under the bridge and the opposite direction. 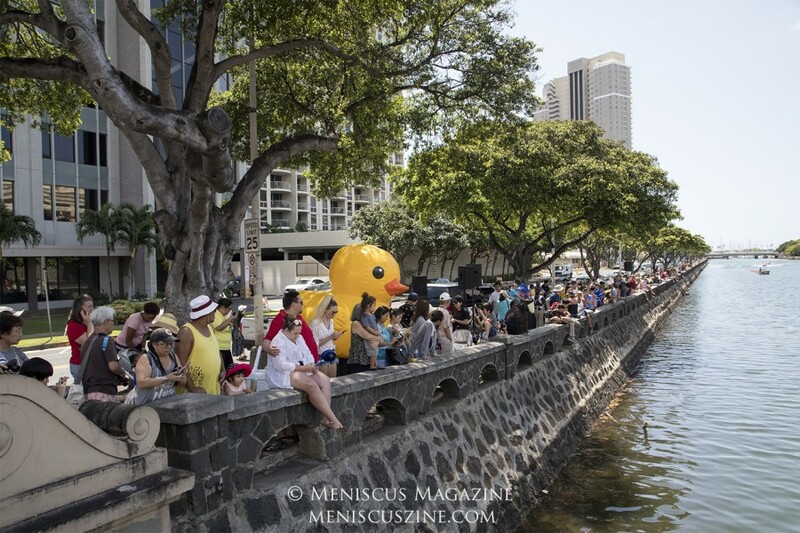 So all the spectators hurried across the busy street. 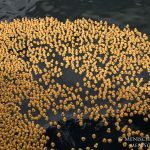 When the ducks reversed course and went back the original way, everyone rushed to the other side again. 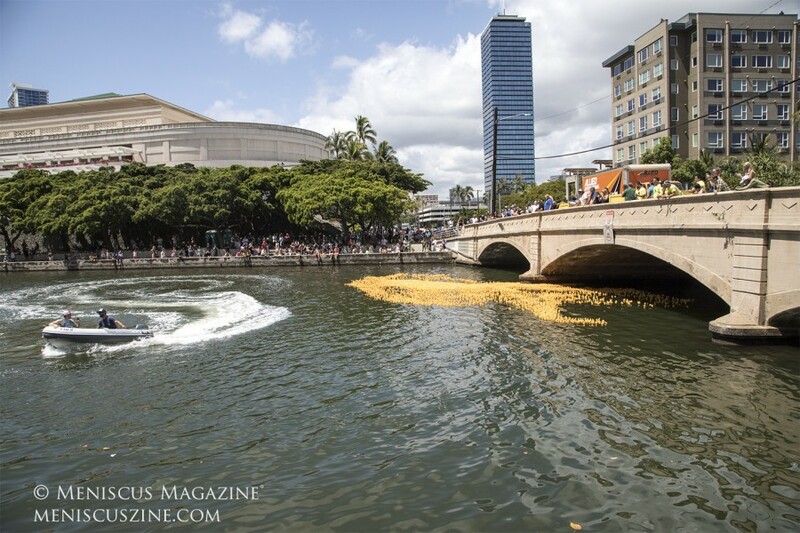 It seemed like the ducks were having fun watching a people’s race than the other way around!